Sometimes when you look at a business owner who runs a successful business, you assume that their journey has been easy as pie. However, that is not the case. 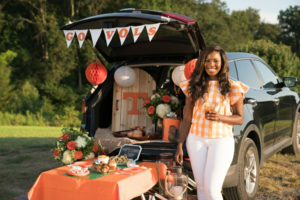 Amanda Wilbanks, is not only a Gainesville, Georgia, native, she is also a University of Georgia graduate. And in her early 20s, Amanda discovered one recipe that would change the entire direction of her life: her mother-in-law‘s Buttermilk Pie. But this was not your ordinary Buttermilk Pie. 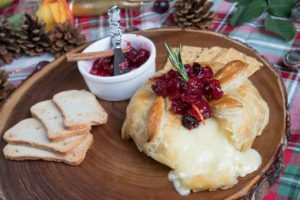 Her mother-in-law’s recipe included a delicate and buttery pâte brisée. After learning about this recipe, Amanda began testing various pie recipes for family and friends. At one point, Amanda was baking more pies than her family and friends could eat. So that’s when she decided to start selling her pies at local farmer’s markets. 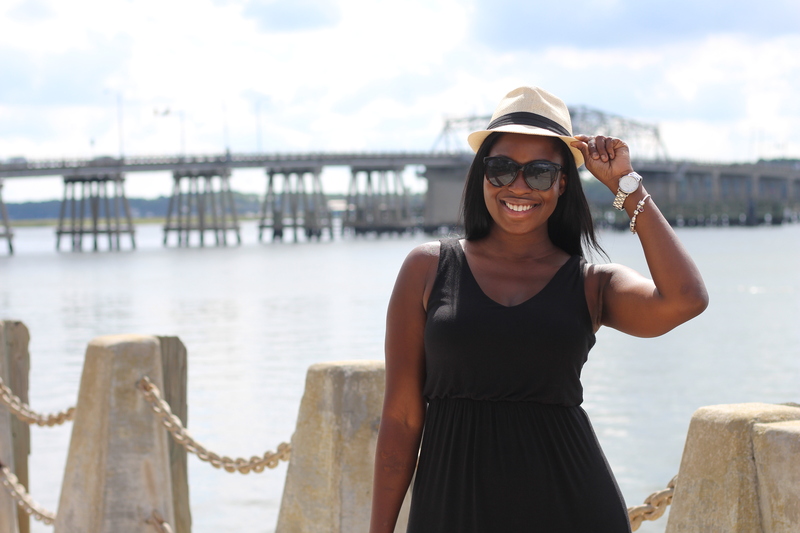 In 2012, Amanda founded and launched Southern Baked Pie Company. 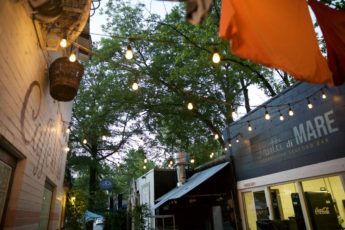 And six years later, she has three brick and mortar locations in Georgia, which are located in Gainesville, Buckhead, and Alpharetta. She also has an incredible cookbook. 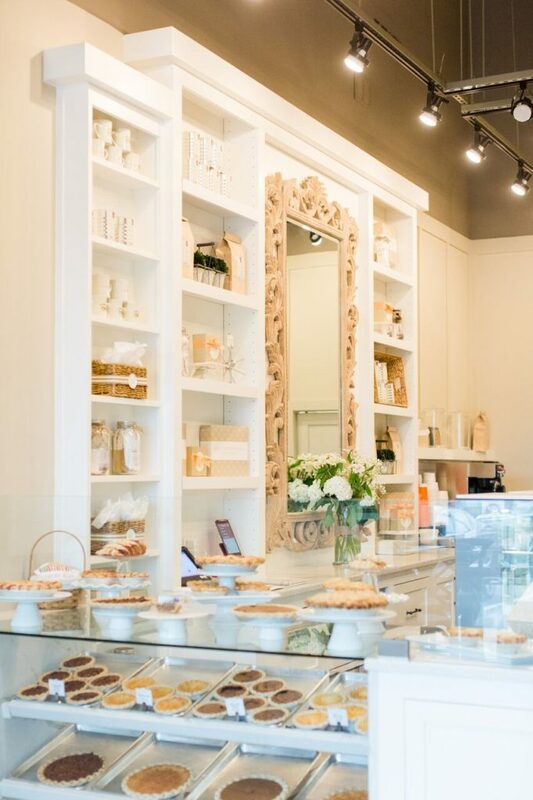 And for all of my Williams-Sonoma, Dean & DeLuca, and Garden & Gun mercantile fans, her pies can be purchased from those retailers too. I recently had a chance to converse with this awesome entrepreneur. Amanda shared some valuable knowledge and great insight. Q: What was your journey like to get where you are? A: It was amazing. Starting a business gives you the opportunity to learn so many things about yourself that you didn’t know beforehand. When I started Southern Baked Pie Company out of my home I was young and naïve which worked to my benefit. I quickly learned that I had more courage than I ever dreamed and that I wasn’t as scared of the unknown and failure as I thought I was. I had no idea I would grow my pie making passion into a “real” company. Knowing what I know today, 6 years and a lot of wrinkles later, I would do it all over again. 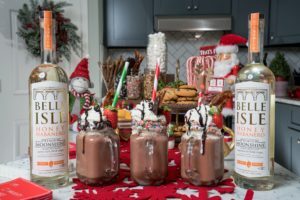 There were definitely challenges, but the joy of owning my own company and making a delicious product that people love has been completely worth it. Q: Can you tell me about one particular moment that shaped how and where you are today? A: My experience selling pies at my first fall festival really shaped the way that I run my company today. 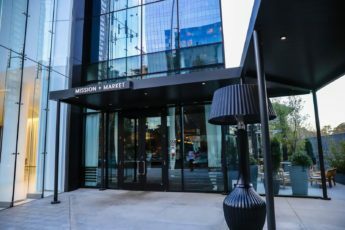 I remember standing in the sweltering Georgia heat wearing heels, pearls, and a leopard print suit jacket, handing out business cards and begging everyone that walked past to just try a slice of my pies. I wouldn’t wait until they came up to my booth. I would literally stand out in front of my tent and wave people down. I was never too proud to ask someone how I could earn their business, and I still am not to this day. I don’t wait for someone to walk in the doors of our retail stores to find out about us. I go out and talk to people, introduce myself, and network every chance I get. It makes all the difference in the world. Q: How did your job change when you switched from your 9-5? A: I sold insurance with State Farm before I started Southern Baked so I am not really sure what a 9-5 job feels like. When you are in any type of sales, you are always on and always selling. It doesn’t stop at 5pm. 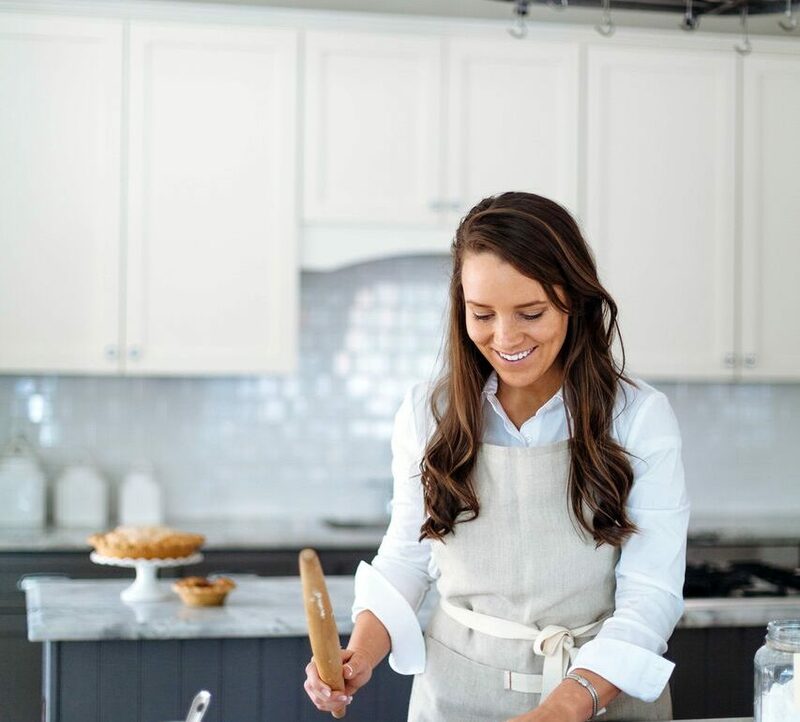 The thing that changed the most when I started Southern Baked was that I had an entire company to run, employees that I had to be responsible for, and product that I physically had to make. That came with a lot of pressure. But I loved it! I craved the challenge. Ask any business owner and they will tell you that work is never done and the work day is never over. Q: What is your favorite recipe/dish to create for a dinner with friends and why? A: Chicken tarragon! It’s from my cookbook “Southern Baked: Celebrating Life with Pie.” I love it because you can make it ahead and store in a casserole dish in the fridge, and just warm in the oven before your guests arrive. It also looks pretty when served on individual plates over rice. 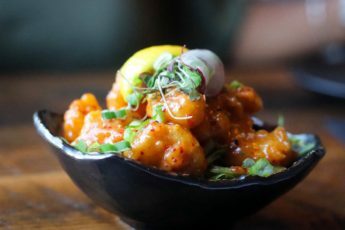 Easy, great flavor, and pretty presentation. Q: As a creative we get burnt out what do you do to stay creative? A: I travel. I get outside. I am always inspired when I step away from the four walls of my office for a few days. As soon as I return, I can feel my creative juices begin to flow again. Q: What is the most rewarding/hardest part of being an business owner? A: The most rewarding part of being a business owner is now I have the opportunity to give back to the community that has so graciously given their support to me! In 5 years, I’ve been able to create jobs for a couple hundred people and help to support their families. I’ve been able to mentor to high school and college students. And I’ve been able to donate to charities that mean so much to me. The hardest part about being a business owner is learning to work on the business rather than in the business. I am very OCD. I want to have my hands in every aspect of the company. I’ve learned over time that it’s important to be able to walk away sometimes and trust that the amazing team you’ve hired has it all under control. Q: What advice would you give someone wanting to follow in your footsteps? A: Be prepared to work the hardest you’ve ever worked in your life and give the business your everything the first few years. Someone once told me, You can have anything you want, but you can’t have everything. At the time I thought the person was crazy. I thought I could have anything AND everything I wanted. Why not right? I’ve never forgotten it. Today I know how smart that man really was. You will have to give up some things to succeed, but the tremendous satisfaction and joy I’ve received from owning my own company has made me forget *most* of the things I gave up along the way. A: “It’s important to be willing to make mistakes. The worst thing that can happen is you become memorable.” – Sara Blakely. Sara Blakely is an inspiration to women in business and has proven that stepping out of the norm and doing things your own way is okay. She is one of the people I look up to most and I hope to be just as successful as she is one day. A: A tomato sandwich. I know that sounds so simple, but there is nothing better than tomatoes sandwiched between 2 pieces of Sunbeam bread that have been slathered with a generous helping of Dukes mayonnaise and sprinkled with a little Crazy Jane’s Salt and black pepper. 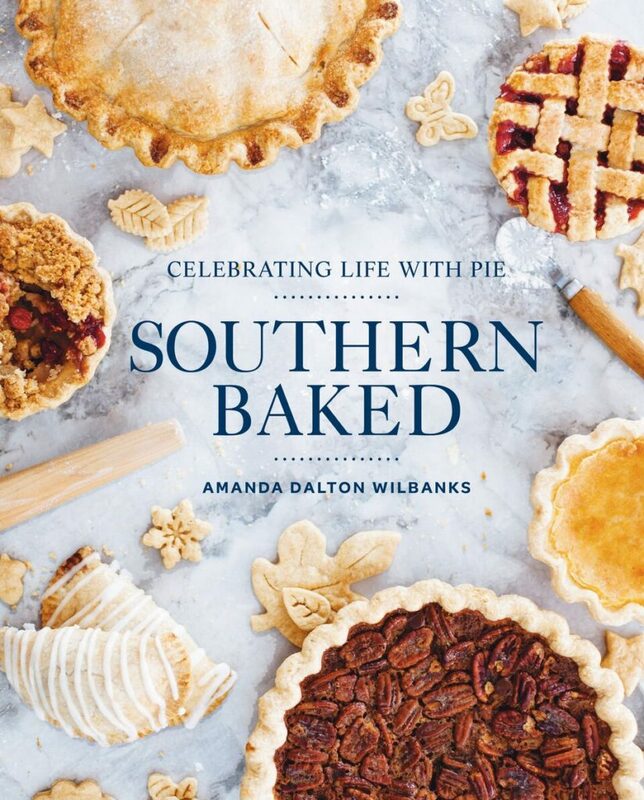 Make sure to stop by Southern Baked Pie Company and pick up a copy of Amanda Wilbanks’ latest book, Southern Baked: Celebrating Life with Pie. It will make an awesome stocking stuffer!